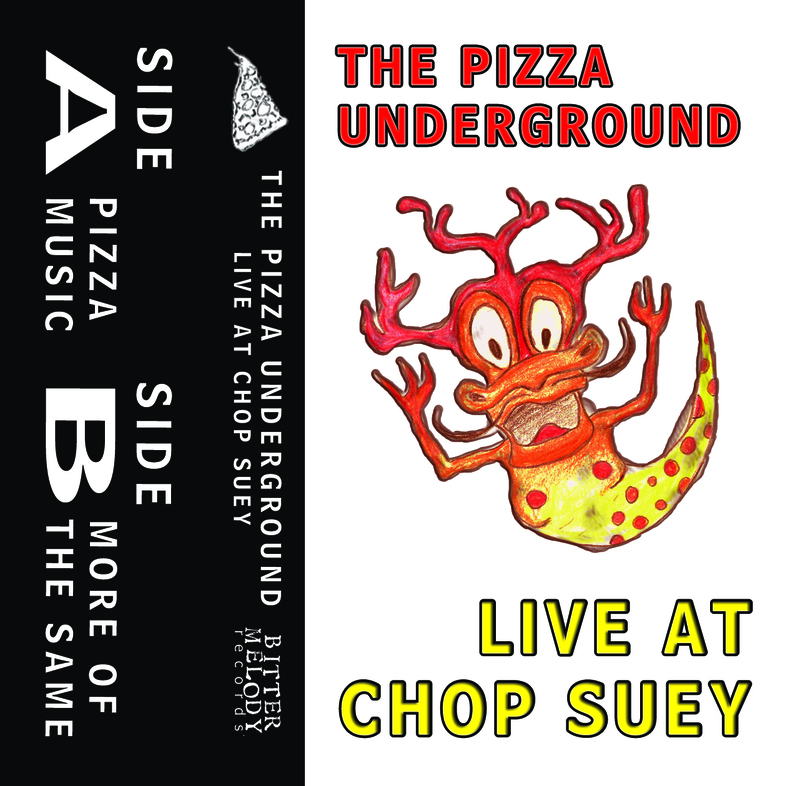 We have teamed up again with our favorite pizza parody band The Pizza Underground to release a new cassette. 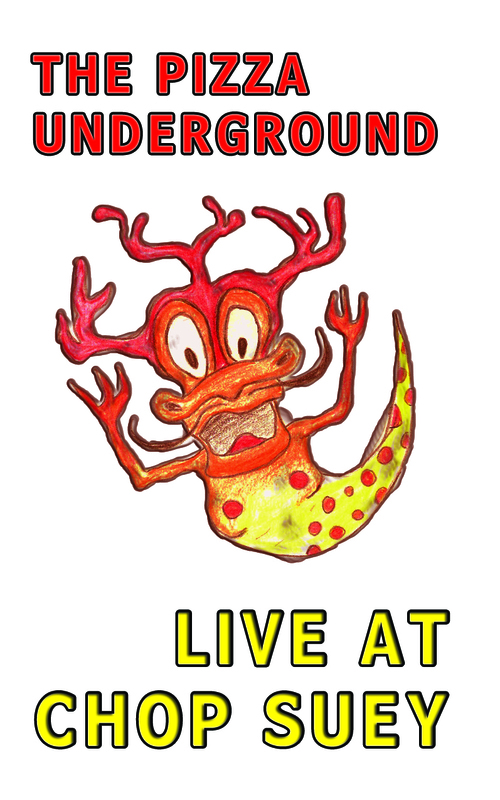 We are pleased to be helping release the Pizza Underground's new live album. 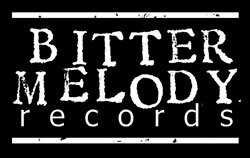 The Pizza Underground notably features Macaulay Culkin and seasoned musicians from the NY anti-folk scene doing pizza parodys of the Velvet Underground. The album, "Live At Chop Suey", features their full 26 minute set at Seattle's Chop Suey and stage banter. The Pizza Underground are part band, part variety show.